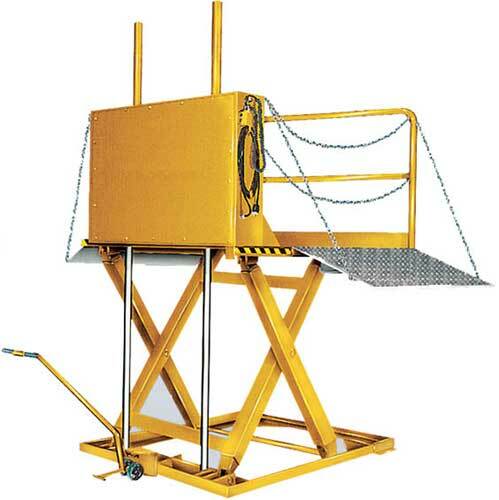 Dock lifts are primarily used to lift pallets and goods from floor height up to the back of a semi-truck and have many features to ensure the safety of operators as they step onto and off of the lift. 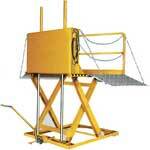 Portable dock lifts are well suited for pass-through dock applications of pallet jacks and hand dollies. 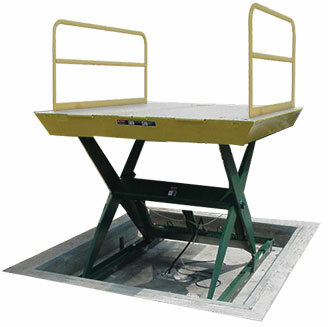 Stationary docks lifts are commonly pit mounted and designed to handle high volume or high capacity lifting including forklifts. Portable 3,000 - 8,000 lbs 50" - 55" 5" - 6.5" 55.375" - 60" 72" x 72" 84" x 120"
Stationary 5,000 - 30,000 lbs 48" - 60" 8" - 24" 56" - 84" 60" x 84" 96" x 144"